Sensitive teeth is an issue for many people, perhaps you? Do you ever experience a painful zing when drinking a cold beverage? How about when you brush your teeth? If so, you are not alone. It is estimated that 60-90% of US adults experience sensitive teeth (Source: Journal of Periodontology). Tooth sensitivity occurs when the root surface (dentin) of a tooth becomes exposed and reacts while eating, drinking, or while chewing or brushing our teeth. This is called dentin hypersensitivity. Detrimental changes in tooth anatomy can increase the likelihood that you’ll experience tooth sensitivity. Listed below are brief descriptions for how changes may impact your tooth anatomy. Enamel is the outermost (white) layer of a tooth. Enamel is hard and serves to protect and insulate the internal tooth layers. Mechanical actions such as brushing too hard or grinding and/or clenching your teeth can weaken tooth enamel. 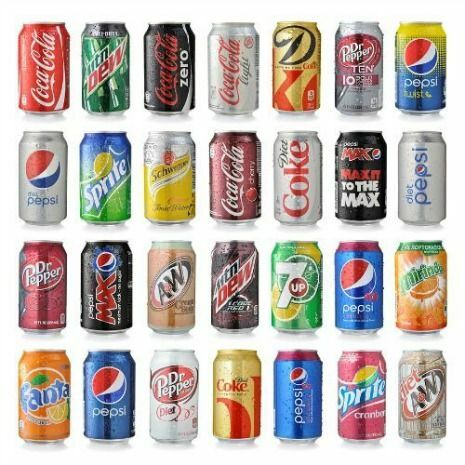 Drinking acidic beverages such as pop and eating acid foods and candy will cause tooth enamel to demineralize (soften). Repeated exposures over time will result in tooth increased tooth sensitivity and possibly tooth decay. Dentin is the layer of tooth under tooth enamel. 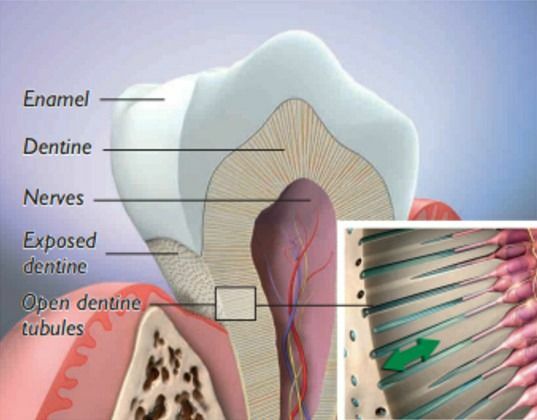 Dentin forms the major portion of a tooth and contains sensory nerve endings called dentinal tubules. Dentinal tubules are microscopic pathways that extend from the dentin into the pulp chamber containing blood vessels and nerves. Exposed dentin will give rise to tooth sensitivity, especially when drinking cold beverages or eating cold foods. The nerve is found in the center most portion of the tooth called the pulp chamber. The nerve sends messages to our brain and pain receptors letting us know when something’s not right. Nerve pain surpasses tooth sensitivity and often results in a dental emergency visit. 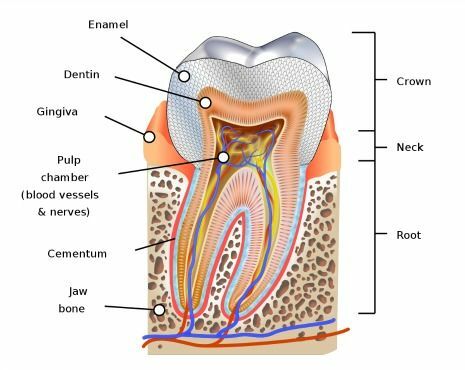 Root: The lower two-thirds portion of a tooth. A healthy tooth root is buried in the jawbone and covered with gum tissue. 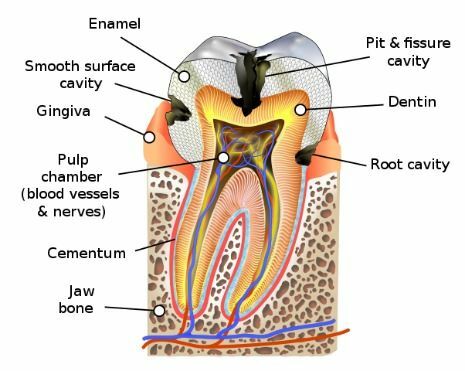 Cementum is a thin, blanket-like layer that covers and protects the root surface. Gingiva also known as gum tissue. Gum tissue covers the roots of teeth. Gum tissue is susceptible to injury if abraded (from brushing too hard) and inflammation in the presence of dental plaque and/or hard tartar. There is a multitude of reasons that can cause a tooth or teeth to become sensitive. Listed below are the most common reasons along with a brief explanation of each. 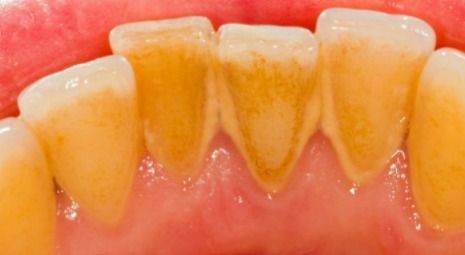 Tooth erosion This can result from be eating acidic foods, beverages, sour candy, using chewing tobacco, and also a side effect of acid reflux disease. Root surface exposure often increases tooth sensitivity. Extreme temperatures, chewing, and even tooth brushing can excite dentin tubules thereby, increasing tooth sensitivity. A tooth with thin enamel will be more sensitive to hot and cold temperatures. Tooth nerve pain is a warning to us that something is not right. The nerve could be exposed due to a crack or break in the tooth or tooth decay. Over time, the edges of old dental fillings slowly separate and pull away from the tooth. This separation creates a space for bacteria to enter and undermine the integrity of the filling, eventually requiring a replacement filling. After dental treatment the nerve of the tooth will need to build a protective layer between itself and the newly placed dental treatment. The nerve will shrink and build a protective layer that will help insulate the tooth from temperatures. How long this takes varies person to person. Generally speaking, your tooth should become less sensitive within two weeks. After teeth cleaning, it is not unusual to experience a little sensitivity for a day or two. During your teeth cleaning, your dental hygienist uses a variety of dental instruments to reach and remove dental plaque and hard tartar from your teeth above and below your gums. Following teeth whitening the dentinal tubules of your teeth are exposed and more opened because the process of teeth whitening draws out impurities and leaves the tooth dehydrated and more porous. See last section in this article about teeth whitening for people with sensitive teeth. Grinding and/or clenching of teeth is constant trauma to the tooth and causes the teeth to become inflamed. Brushing too hard overtime will eventually prematurely wear away protective tooth enamel. Loss of tooth enamel increase the likelihood that your teeth will become more sensitive. Acid reflux is acidic and can rapidly dissolve tooth enamel and dentin causing your teeth to become sensitive. Acidic food and drinks are acidic and demineralize tooth enamel. Sipping will prolong your exposure. How often, how long, and how frequently you consume acidic beverages and foods will impact your risk of developing tooth sensitivity and your risk to develop tooth decay. Chewing tobacco is not only acidic, but very abrasive to tooth enamel, and corrosive to gum tissue. Chewing tobacco contains ingredients that are detrimental to teeth and gums. Gum recession, also commonly referred to as receding gums, is when the gum shrinks down from the crown part of the tooth in response to trauma. Examples of trauma may include brushing too hard, teeth clenching/grinding, or using smokeless tobacco. If you have receding gums, your affected teeth have exposed dentin. Dentin contains sensory nerve endings that will elicit a painful response when exposed to extreme temperatures and acidic substances. 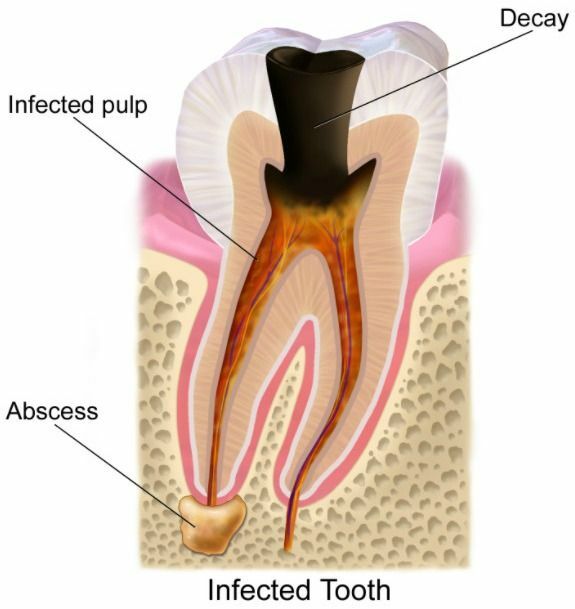 Tooth infection is when trauma or a dental cavity has reached the innermost part of the tooth where the nerve of the tooth is located. Examples of trauma may include but are not limited to a cracked, fractured, or broken tooth, or a large cavity. Tooth trauma that impacts the pulp (contains nerve and blood supply) will often result in a painful infection that requires a visit to your dentist to resolve. A broken, fractured, or chipped tooth will oftentimes be sensitive until your tooth is restored. If your tooth has slowly developed sensitivity and is not broken or chipped, you may have a cracked tooth. Cracked tooth syndrome is when your dentist suspects that your tooth may have a hairline crack. These cracks are very difficult to see even with magnification. If your dentist suspects that you have cracked a tooth, they will use a variety of diagnostic tools and instruments to help confirm their diagnosis and will advise you about your available dental treatment options. Chewing ice creates an extreme temperature change in the mouth causing microscopic fracture lines to develop, contract, and expand in both tooth enamel, dentin, and exposed root surfaces. Sour candy is a recipe for sensitive teeth. Sour candy is pure sugar and acid. Candy causes the ph in your mouth to drop low enough to demineralize tooth enamel. Repeated and/or prolonged consumption of candy will increase your risk for tooth decay as well as increase the likelihood that your teeth will become quite sensitive. Teeth sensitive after dental filling? Teeth sensitive after teeth whitening? Sudden sensitive teeth is a warning sign. Perhaps, you accidentally bit down on something hard and bruised the tooth? If so, you’ll have to give it a few days before the soreness will go away. If soreness does not subside or pain develops, call us to make a dental appointment. You may have cracked, chipped, or fractured your tooth. If so, your tooth will become more sensitive. Teeth sensitive to cold can happen when if the space between the nerve of the tooth to the outer surface of the tooth becomes increasingly thin. 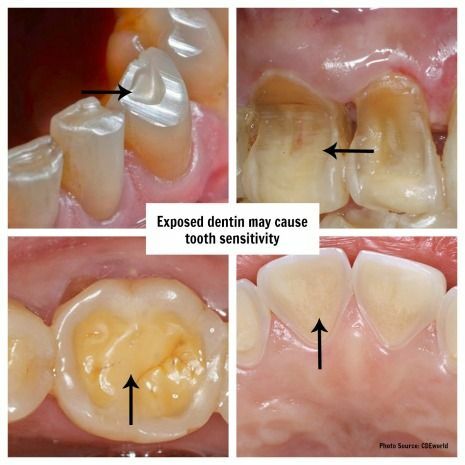 This likely indicates that your tooth enamel has been compromised and/or you have exposed root surface. Scroll up to review possible causes for why your teeth have become more sensitive. Teeth hurt when eating. If your teeth hurt while eating, this may be a sign that you have a dental cavity, a fractured, or a cracked tooth. If you find yourself avoiding to chew on a side of your mouth, a visit to your dentist is recommended. Teeth sensitive to sugar many times is the first sign that you may have a dental cavity on a tooth. Only your dentist can diagnose and remove tooth decay if present. Unresolved tooth decay will worsen and can become quite painful. Teeth sensitive after newly placed dental fillings is not unusual. Most dental fillings and dental crowns are placed because of tooth decay. The restorative process involves the removal of tooth decay, tooth preparation, and placement of a dental restoration. There is a normal recovery period that typically lasts for one to two weeks. If after two weeks your tooth remains sensitive, it is best to schedule a follow up appointment to reevaluate the tooth and check how your teeth bite together. Note: If your dentist told you that your tooth decay was deep and close to the nerve of the tooth, your tooth will take longer to recover–up to a few months. 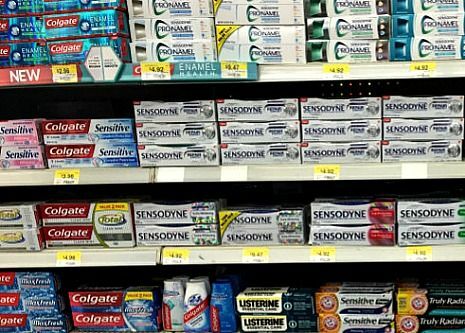 A quick internet search or a trip down your store’s dental aisle offers a plethora of options for sensitive teeth relief. From diy, over the counter, and professional products and available treatments–how do you choose? Which over the counter products are effective? Which over the counter products are not effective? Are options offered by my dentist better than over the counter products? What options are available from my dentist? Generally speaking, over the counter products such as using a desensitizing toothpaste, can relieve minor sensitivity issues. Twice daily use of sensitive formulas of toothpaste often provide relief in under two weeks. If after two weeks of use, your sensitivity is not better or less, it is recommended that you call your dentist for an appointment to rule out a potential more serious problems such as tooth decay. If your dentist does not find any problems, he/she may prescribe or place a prescription strength desensitizing agent. Toothpaste for sensitive teeth contain desensitizing agents. Most popular ingredient in toothpaste for sensitive teeth is Potassium nitrate. Potassium nitrate will harden the outer layers of the dentinal tubules to reduce sensitivity. Best toothpaste for sensitive teeth? The best toothpaste for you is the product that provides you relief. Try using a toothpaste that contains the active ingredient Potassium nitrate first. If your sensitivity has not decreased or lessen within two weeks, try a different sensitive toothpaste with a different active ingredient. Potassium nitrate is effective for over 75% of people. 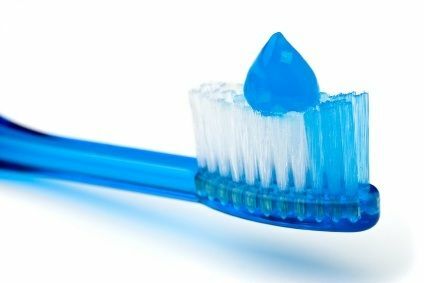 Apply a pea sized amount of toothpaste for sensitive toothpaste on toothbrush. Repeat 2 to 3 times a day until symptoms subside. **If sensitivity does not improve within two weeks, the cause of your sensitive teeth could be more serious, call your dentist for further evaluation. Temporarily avoid acidic foods and beverages. Switch to a softer toothbrush. Manual soft or extra soft bristled toothbrushes are more gentle and less abrasive on the tooth and root surfaces. Special toothbrush heads are available for many popular electric toothbrush brands. Daily dental flossing is important to minimize dental plaque. Tooth plaque contains harmful bacteria that can contribute to teeth sensitivity. Temporarily postpone teeth whitening since this process will leave the teeth dehydrated and open the dentinal tubules by removing all the protective coating. Not a DIY tip, but important that you have your teeth professionally cleaned every six months or as recommended by your dentist to minimize tartar (calculus), stain and plaque build up. During this visit, your dentist will examine your teeth for any potential concerns. Seek the advice of your dentist if home treatment has not reduced tooth sensitivity within two weeks.Your dentist will want to examine your teeth to make sure there is not a more serious underlying cause for your sensitivity. Prescription strength fluoride gel toothpaste (shown left) provides 5000 parts per million that when used as directed can help significantly reduce tooth sensitivity as well as help reduce your risk for tooth decay–a win, win! 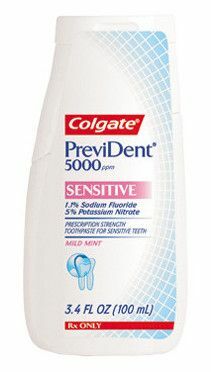 Products like PreviDent 5000 Booster Plus provide four times greater amount of fluoride compared to products sold over the counter. Topical application of dental fluoride varnish is an topical application prescription strength fluoride that is “painted” or applied with a small brush to all surfaces of your teeth. If your dentist examines your teeth and finds evidence that you grind or clench your teeth (aka bruxism), they will recommend to impression your teeth in order to make you a custom mouthguard. Grinding and/or clenching creates a lot of force on the teeth and will cause the nerve of the tooth to become inflamed and irritated. A bruxism mouthguard provides a cushion barrier between the teeth. Placement/replacement of dental restorations can help to keep the tooth surface intact. In some cases the root surface is exposed due to recession and a dental restoration can be placed to protect the tooth surface from continue abrasion along with providing a longer barrier covering the tooth. Teeth whitening treatments help brighten your smile. A bright smile helps us feel and look good and to make a great first impression. If you have sensitive teeth and want to brighten your smile, there are some important things to know before you do. There are two main ingredients in teeth whitening products: Hydrogen Peroxide and Carbamide Peroxide. Both are effective and will brighten teeth. Teeth whitening products are available in different concentrations. A higher concentration does not equate to stronger or better. Each teeth whitening includes instructions for recommended time to keep teeth whitening agent on the teeth. Keeping a product on your teeth longer will not improve your results. Before starting a teeth whitening regimen, it is highly recommended that you have your teeth professionally cleaned and examined by your dentist first to ensure that you do not have an underlying dental problems. Listed below are a few tips to try to help minimize sensitivity while whitening teeth. Ask your dentist for a prescription strength topical fluoride gel. Insert gel as recommended by your dentist into a custom made mouth tray. Wear as directed, often for thirty minutes. Consider using a sensitive toothpaste for a couple weeks before starting whitening treatment. You may wish to continue using desensitizing toothpaste during and following whitening treatment.